18 days. 16 cities. 1,300 miles (500 with Irish company, and 800 on our own)! We navigated confusing highways. Did our best to avoid exorbitant tolls. Got lucky with nonsensical parking signs. Screamed at our navigation system. Apologized to other drivers. Laughed in the face of one-way streets. Perfected the art of the roundabout. Used our windshield wipers, a lot. All with ME behind the wheel!! 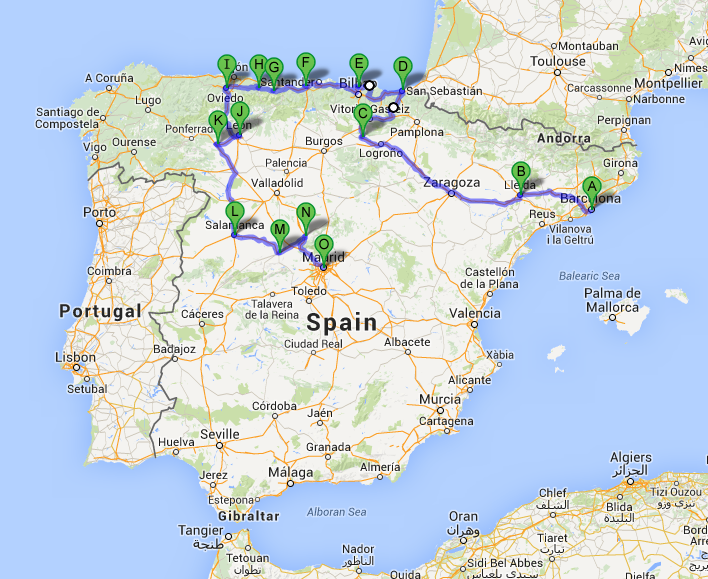 And in Madrid, our Spanish road trip came to a close. Next stop: The bus stop!